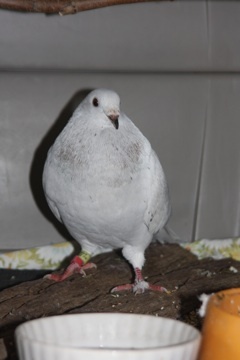 There are three pigeons being housed at Wildcare on Cape Cod that are in need of adoption. Charis will be on to explain a bit more. I'm just posting the photos because the Host an image feature isn't working for her at the moment. What I can tell you about these birds is that they are all very friendly, easy to handle, eat well and are in good condition. I do not know the circlumstances by which the came to Wildcare and hope that I can get some more information. If you can take one of these birds, or know of someone that can offer one or all of them a good home, please contact me. I asked about shipping and for more information on each bird. I’m not sure what you mean by “shipping”, we would hope for a drive-able placement, that our volunteers might help to drive halfway, etc…. I’d be really concerned about packing them up in any other way. I think it would be terrifying for them… and they have already been through so much. 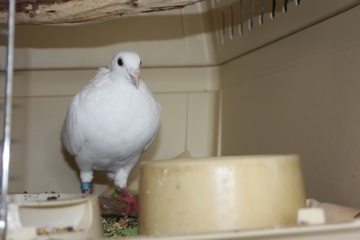 The Rock dove was found floating in the back of a waterlogged boat off of Provincetown on October 15th. The other non-banded white one was found stuck in marsh grass behind a beach in Eastham at high tide on August 21st. Not that it makes any difference really, but both white birds look like they have a band. The first looks to be sporting a turquoise band, and the second one a red band. All three have definitely had quite an experience. I will be thinking positive thoughts that they all find wonderful homes. You're right about the bands Cindy I too hope they can find homes since it seems the rescue doesn't want to ship. I had an email from Wildcare yesterday to let me know the birds must be placed because they are out of room. Makes it really hard to find them a home when they don't want to ship. I've re-posted about them on Twitter, Facebook, their local Craigslist, PT, birdscentral.net, and will try to get them onto Petfinder. 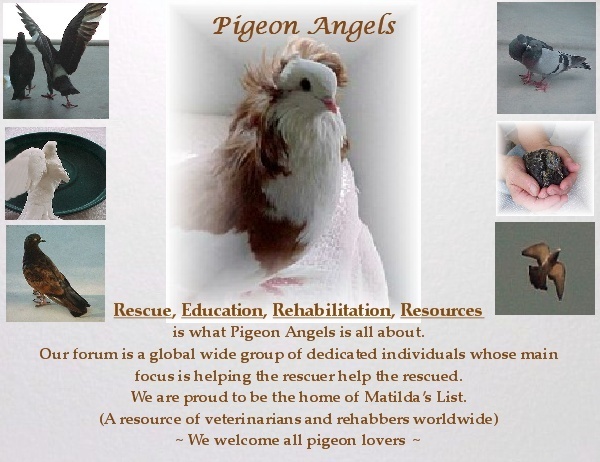 I emailed them the name of a rehabber in Rhode Island that may have some connections too and as the Crow flys, Rhode Island isn't that far at all. 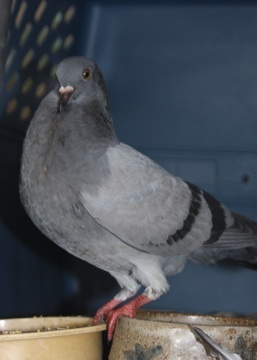 I've gotten 2 inquiries about these birds from the craigslist ad. I've referred them to Wildcare. I sure hope things work out. Any updates on these three birds?